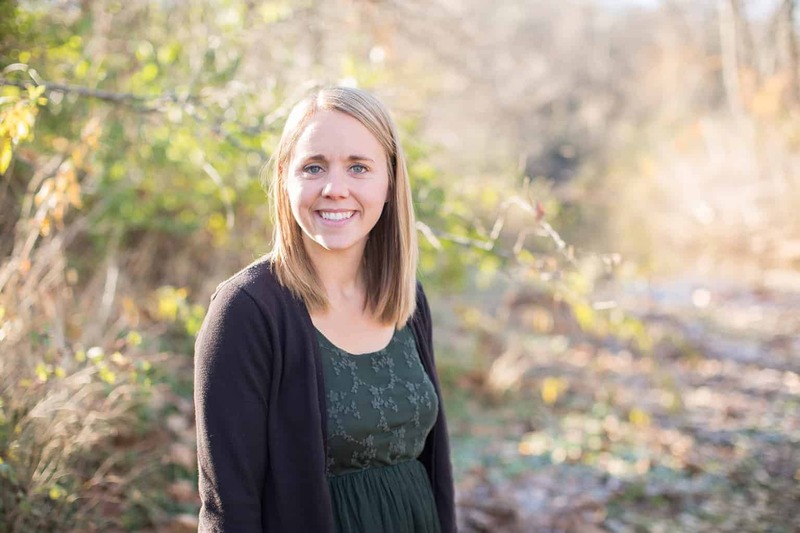 LEARN WHICH ESSENTIAL OILS ARE BEST FOR REDUCING THE APPEARANCE OF SCARS AND HOW TO USE THEM. THE BEST ROLLER BOTTLE BLEND FOR SCARS WITH PRINTABLE LABEL. A scar is a mark left on the skin or within body tissue. It is where a wound, burn, or sore has not healed completely and fibrous connective tissue has developed. Scars don’t pose much of a problem but can be very annoying, especially if the scar is in a visible place, like the face. Just the other day my daughter got hurt and had a big cut on her forehead. My first thought was, I hope this doesn’t scar! 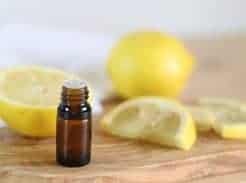 I immediately started applying essential oils that can help reduce blemishes, skin imperfections, and scars. 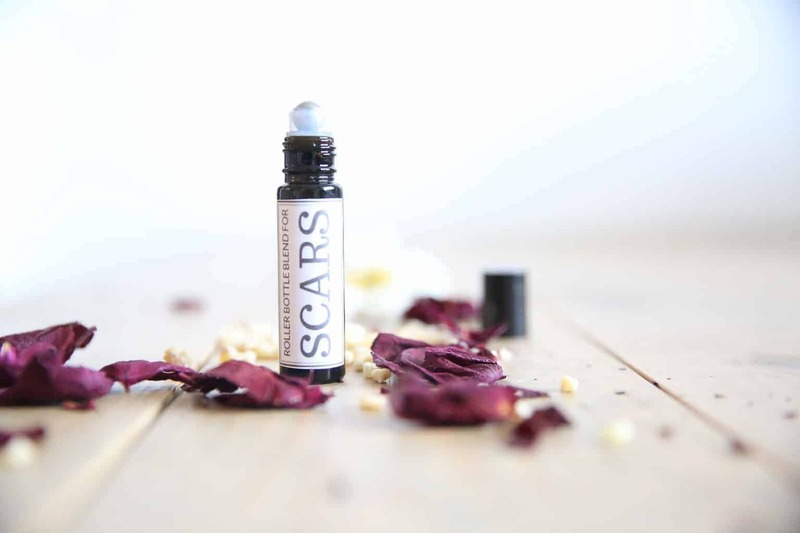 This roller bottle blend can be used for new or old scars. It will help reduce the appearance of scars and even out skin tone. 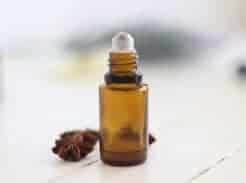 Combine all the essential oils in a 10mL, amber colored, glass roller bottle. Fill the rest of the roller bottle with fractioned coconut oil. Shake well and apply to the area of concern. The key to using essential oils or any natural remedy is consistency. Applying this blend often is very important. After I had a mole removed I used a similar blend to this (it was before I had yarrow) to help with the scarring. I kept the roller bottle in my back pocket and applied it to the area every 30 minutes. Use topically on the area of concern. After rolling it onto the area of concern message it into the skin. For best results, use for several weeks. 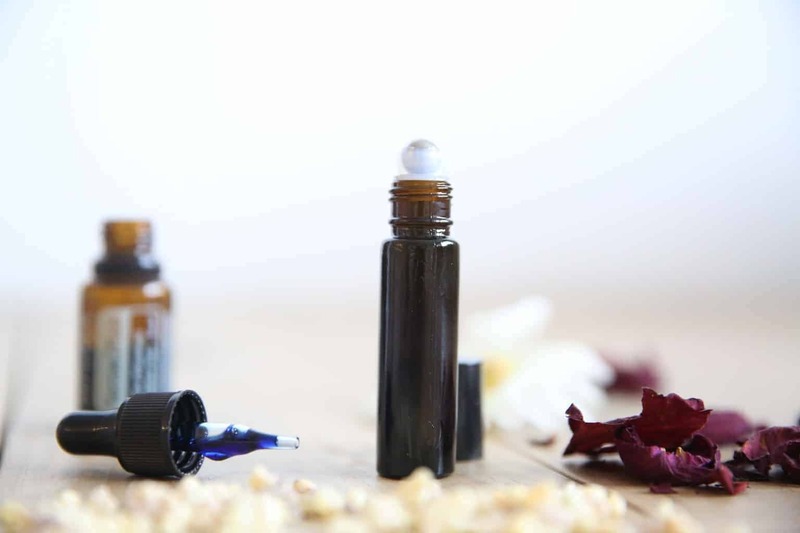 Roller Bottle– Make a roller bottle with the best essential oils for scaring. If you don’t have them all just get started with the ones you do have. 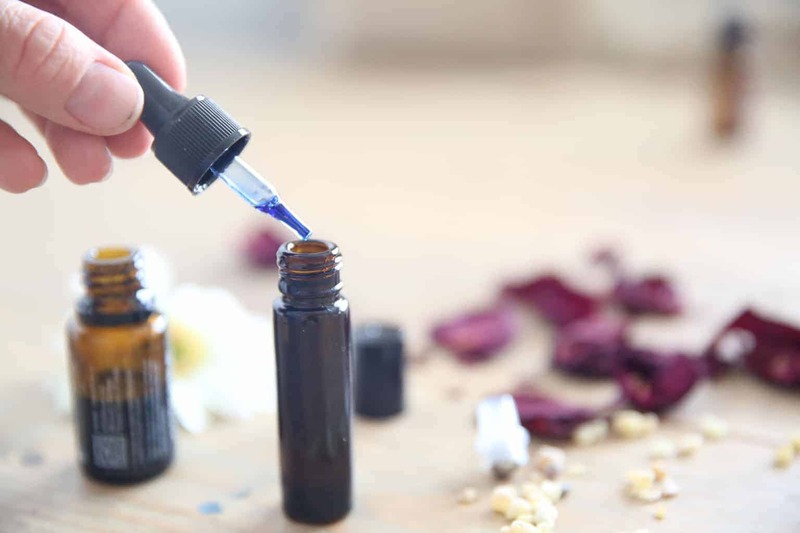 Add 15-30 drops of essential oil to a 10mL roller bottle and top off with a carrier oil. Mixed with Coconut oil– Add 3-5 drops of essential oil to a dime size amount of coconut oil in the palm of your hand. Rub your hands together and then massage onto the area of concern. With Lotion– Use a dime size of lotion and add 3-5 drops of your favorite essential oils for scarring. Apply to area of concern. Provides powerful antioxidant support; main constituents include: Punicic acid, β-caryophyllene, chamazulene. Yarrow can shrink the skin and promotes healthy skin, especially where a wound or scar is present. Yarrow is one the world’s most powerful natural astringents (a substance that causes the contraction of body tissues, typically used to protect the skin and to reduce bleeding from minor abrasions). The yarrow plant is a very effective natural cicatrisant, which means that it helps to increase blood stimulation and allowing the skin cells to regenerate faster. Known as the king of oil, frankincense has been used in beauty products for hundreds of years because of the many of benefits it has for the skin. Frankincense can reduce the appearance of skin discoloration and uneven skin tone. It is also great for tightening and rejuvenating the skin. Frankincense oil may promote the growth of new skin cells. Learn more about frankincense essential oil HERE. Rose essential oil has the ability to regenerate the skin, reduce scars, and help skin regain natural color and tone. Studies have shown that even scars that were over 20 years old showed remarkable improvement after using rose topically on the area of concern. Roses are high in vitamin C and encourages your body to produce more collagen. It is very balancing and nourishing for the skin. The magnolia flower is found throughout South Asia, the Pacific, and North America. The essential oil is steam distilled from the sturdy petals of the flower. Floral oils are incredible for skin health and regeneration. Add to your daily routine to help keep skin clean and hydrated. Sandalwood essential oil can help tighten, firm, and improve skin tone. This essential oil can soothes the skin and reduce the appearance of scars and spots. Sandalwood is very motorizing for the skin and has rejuvenating properties. HAVE YOU EVER USED ESSENTIAL OILS FOR SCARS? Which oil did you try and how quick did you notice a change? I’m sorry, I have tried to find the printable label for the scar formula. Could you please direct me to the link. I have enjoyed you channel. Totally forgot to add that it to the online resource library. Thanks for bringing it to my attention! It is in there now. Sorry for the inconvenience.